The HyperCarnivore is a new blog. I decided to separate out the themes with one blog focusing on eating a high-protein, low-carb diet, aka The HyperCarnivore Diet which consists of consuming a low-carbohydrate diet, with the primary source of your calories coming from animal foods ~ plants optional. We encourage learning to eat according to your true nature! Whether you choose a more high-fat, ketogenic approach, or high-protein approach, and what if any plant foods you enjoy and can well tolerate is up to you to determine for yourself. Which foods bring you the greatest health, joy, and satisfaction will depend on your current health, where you live, the season, region, your ancestry, and personal preferences. A hypercarnivore gets 70+ of it's nutrient needs and energy requirements from animal foods. The Living Your True Nature blog is now The Strong Spirt Path blog, which will focus on journey to awakening my most illuminated version of my self. I will share how I use the tools outlined in The Strong Spirit Self-Empowerment Plan, Your MAP to Consciously & Effectively Create YOUR Most Illuminated Life. 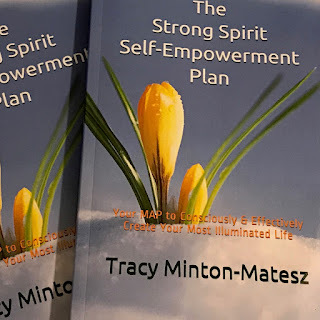 Readers will see my own process more up close, in hopes that it will inspire others to overcome any of the mental, emotional, or physical obstacles that commonly hold people back from really thriving, and creating their ideal life. It is really high time for all of us to make some great leaps forwards in realizing our dreams, don't you think? I certainly have my own unmet dreams. I have an inner urgency that drives me forward, while I equally remind myself to just Trust, Breathe, Imagine and Believe! We all have many challenges. I happen to be very self-reflective, and have strived to overcome many many challenges, and an M.O. of 'struggle' for much of my life. You can read more about my life here. I am a highly sensitive person, or HSP, an empath, and an introvert. I have learned a thing or two about how to cope with these extra challenges while navigating a very over stimulating world. Those who get easily over stimulated will understand what I mean! As an energy healer/harmonizer, I often help others who are also highly sensitive, each of us in our own ways, to better manage the heightened anxiety that often accompanies being an HSP. Not sure if you are an HSP? Never heard of it? You can learn more, and take a quiz, here, or read The Highly Sensitive Person, The Highly Sensitive Person's Workbook, by Elaine N. Aron, Ph.D., or The Highly Sensitive Person's Survival Guide, by Ted Zeff, Ph.D. Another great book for those interested that helped me quite a bit was The Introvert Advantage, by Marti Olsen Laney, Psy.D. I can't recommend these books enough if you are someone who feels extra challenged in life from being easily over stimulated, in a variety of settings and situations, and/or if you are more introverted, or live with a more introverted spouse, child, or family member. Any purchases made through these links is highly appreciated for the small commission I receive. (And, I heard that last book was a great read as well! ~ wink wink, nudge nudge! I will be taking some time to move the original and still relevant posts (and recipes) when we first began our 30-Day, low-carb, ketogenic challenge in May 2017 to The Hypercarnivore blog. I am also working on the Strong Spirit Woman website, revising pages to all be more streamlined and functional on the updated platform. Once these projects are accomplished, my posts will be more frequent and consistent. In the meantime, I will do my best to share the snippets of my life that are like little gems, or 'ah ha' moments when I overcome my own past limiting beliefs and mindsets, to nudge ever closer to my own most illuminated life. My wish for us all is to open up to receive the divine inheritance that awaits us, once we release the old tapes and beliefs that block our flow, or doubt our worthiness of receiving great blessings in life. The more we become our most illuminated versions of ourselves, the greater we shine. The greater our personal light, the more we contribute to enlightening the world. We all have a unique voice and gifts to share. Let's do this together! Here is an old training video from the original post.